Hayley Carr, the fabulous London Beauty Queen blogger has recently established the 30plus Blog Collective, for a unique bunch of bloggers: those of us over the age of 30, mostly. But, as LBQ herself says, this is an inclusive, not exclusive collective, established to raise awareness of blogging and to form a fabulously supportive network; anyone of any age is welcome to join in the fun. What’s not to love about #30plusblogs? Now, how do you tell if you’re a 30plus blogger? Well, you probably have a blog. 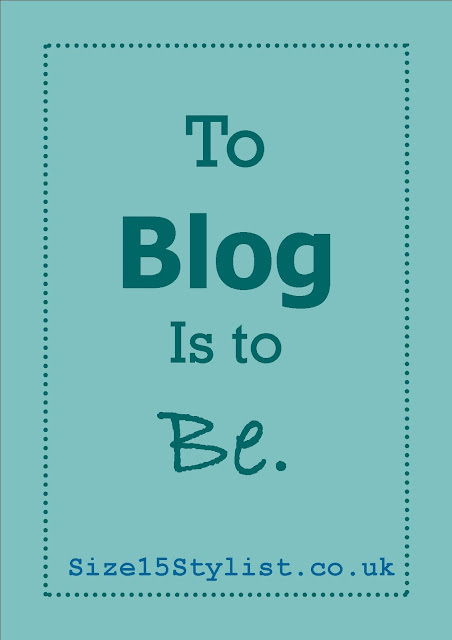 Or maybe you’re a bloggee (a gorgeous reader of blogs) and you're thinking about starting a blog one day. You could have a child, or five, or none. You’ve perhaps decided where your opinions lie on this (and on other people’s children). Blogging is not just for parents and teenagers. Starbucks, Nero, Costa, Indepenedent. You know what you like, and what you drink (PS – Starbucks, Starbucks, Starbucks). You may have traveled the world; you may know every nook and cranny of your own town. You likely have done a little of both. You probably have money to spend on *beauty products. And you like spending money on *insert items of choice. There are a lot of products out there so you read blog reviews to inform your decisions. You know what confidence is, can fake it if you have to, and sometimes you wonder at your teenage self and all the anguish you lived through. Some days you don’t think you have any, but just look around you; confidence likes to play peek-a-boo. The tinker. You use social media A Lot (hourly, too?) and are self-taught. Ditto with Wordpress or Blogger or Canva or PicMonkey or YouTube or Google+ or IG or Pinterest or Amazon (you probably know your way around all of these and are happy to share your knowledge). You taught yourself early IT skills with the help of dial-up, a dot matrix and books; you wrote the emoticon (early emoji) code during your hours of MSN Messenger time. You remember a time before Facebook and Amazon, and how you amused yourself/studied without being able to ‘Google it’; you have whispered your thanks to Page & Brin, Zuckerberg and Besos once or twice. You shop online and offline, and you know which you prefer (music and books offline, beauty and clothes offline. Mostly); you read blog reviews and product reviews before you buy. Regardless of your age, under or over 30 (or spot on), you are gorgeous, creative, funny and supportive and hopefully you know this, too. Where are you at in the blogosphere? I would love to read your comments on blogging (whether blogger or bloggee) and your consumer habits! Ha, I started writing programmes in Basic! Here's to the Tech Pioneers!